This first of its kind workshop combines the art of healthy, sensual touch with yin yoga. Adults require healthy human touch to thrive and for our overall well-being. In recent years, a wave of studies has documented some incredible emotional and physical health benefits that come from touch. This research is suggesting that touch is truly fundamental to human communication, bonding, and health. 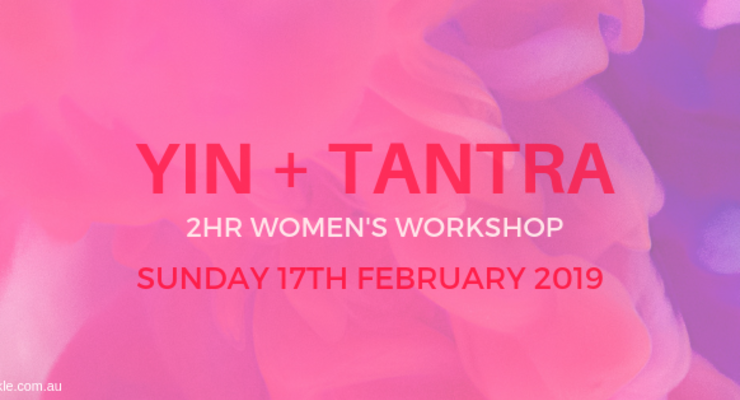 Drawing on aspects of Tantra, Yogi and Tantra practitioner Caryn will lovingly guide this class in a safe and nurturing environment. Yin yoga is a floor based yoga where we hold the poses between 3-7minutes. We use props such as bolsters and blocks to support you throughout the practice. During the poses you will experience non invasive gentle massage and soft textures against the skin to heighten your experience, bringing you into your body (having a break from your busy mind) for a deeply relaxing experience. We will close the class with a meditation. Women who are after some nurturing and need some time out for themselves, great for Mum’s and all women who have busy minds and lives, and are looking for some stress relief. Tantra has been around for over 5000 years and is a way of life and living everyday. Loving awareness resides in your heart space and Tantra to me is about living from your heart and in this workshop you will go on a journey to connect to your body and heart. When we open our hearts, we are open to give and receive and to connect with others on a much deeper level which is what we are all here for. We are here to experience bliss and pleasure, unfortunately most people get around with closed hearts and live in their heads and have a complete disconnect from their hearts and bodies. Tantra teachings is about experiencing all of our senses to get in touch with who we are, to feel again.